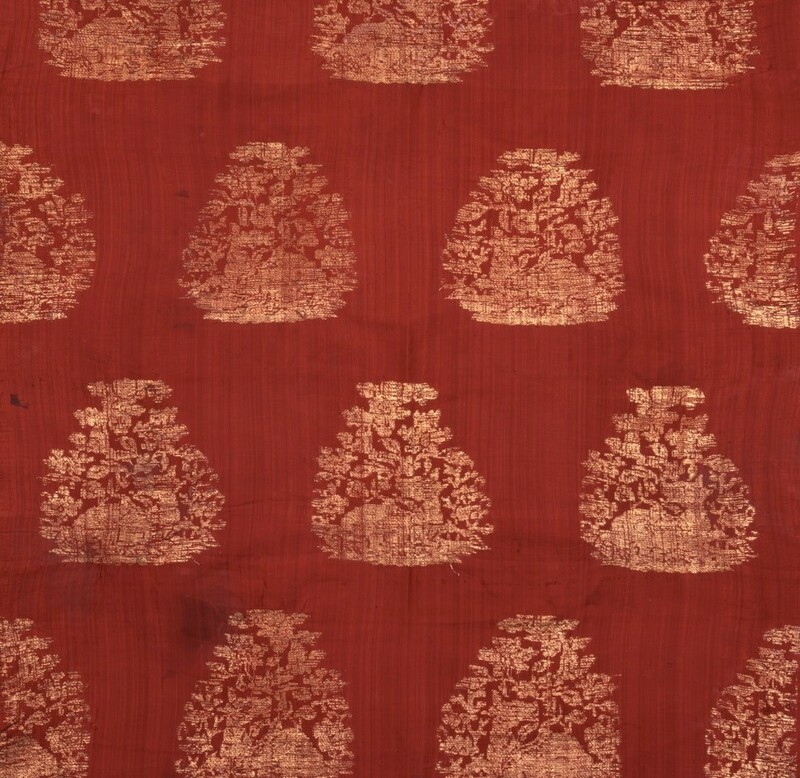 A red silk textile, brocaded with gold on animal substrate and designed with staggered rows of pear-shaped medallions each containing a djeiran, or Central Asian antelope, recumbent among flowering plants and with its head turned over its back to gaze upwards at the full moon above clouds. The textile a full loom width including both selvedges. The pattern and its ancient Sogdian origin is discussed in detail with relation to a similar example from The Cleveland Museum of Art and is illustrated in the exhibition catalogue, When Silk Was Gold, by James C.Y.Watt and Anne E. Wardwell, no. 29.